Too many posters over reacting. There is too much talent on this team and the coaching staff is too good for this team to be bad or mediocre long term. By game #82, I am sure the Celtics will have 55-60 wins. We are tied with Orlando, Charlotte & Indiana for the 5-8 seed so we may have a chance at the playoffs but Orlando beats us in the tiebreaker so far. We should be 1-3 because the win over the Knicks was a lucky win and if Kanter doesn't foul out we would have been toast. Toronto is unbeaten and they beat Washington without Kawhi. Let's face it folks we are nowhere near as good as everyone thought we were. Kyrie has been really bad. Maybe he should make a movie on how to lead a team and how to make shots or how to not force bad shots because you want to be the man you aren't. Hilarious that, in a season where Jaylen Brown is closer to his rookie production than his sophomore production, Al Horford is averaging below 12ppg and is shooting 33% from deep, Rozier is still a sub-40% shooter from the field and our two best players are coming off injury, you still decide that Kyrie deserves the lions share of the blame. Really can't wrap my head around it. Ignoring his abysmal first game where he played below 30mpg, he's averaging almost 20/5/4. About Kyrie ...make an important shot when it counts, garbage time shots when your down 9-11 and in desperation are meaningless. What about his supposed great handles? Get to the basket for a layup. What the heck kind of a shot was designed for the end of the game. A turnaround defended three? That play design I would blame on the coach because it was a terrible shot. Oh wait, the world is not falling apart. We still have the best coach, the most talent, and the best draft assets of anyone in the East, and maybe anyone in the NBA. Sure that is what everyone has been saying since last season but when do we actually collect on any of this talent, coaching or assets? We are playing like crap. That end of game play design was terrible Brad - you are better than that. It's obvious that without Baynes we are terrible. Theis looked pretty good last night and Hayward looked pretty good but nobody else impressed me. Why did Morris take the technical free throw last night? Is he better than Hayward? I am not bashing Morris though because overall so far this season he hasn't been terrible. Perhaps he should start over Jaylen. Were you not watching when he took over during the latter stages of the game and got us back into it? Theis should have played more. AH was bad on both ends. The problem is the Lakers weren't predicted by everyone to go to the NBA finals. The Celtics were. #Gouki88: As far as Kyrie taking over it was too little, too late and it wasn't when it counted. It was garbage time points. How is there even garbage time when we lost by literally 1 possession? but it takes him long time to get in the game and he forced shots early on trying to get himself going. hurts the other starters. There is nothing to worry about (yet), we're only 4 games in. we could very well be 5-5 before our team is firing on all cylinders. All we have to do is reference last year to understand what this team is capable of. 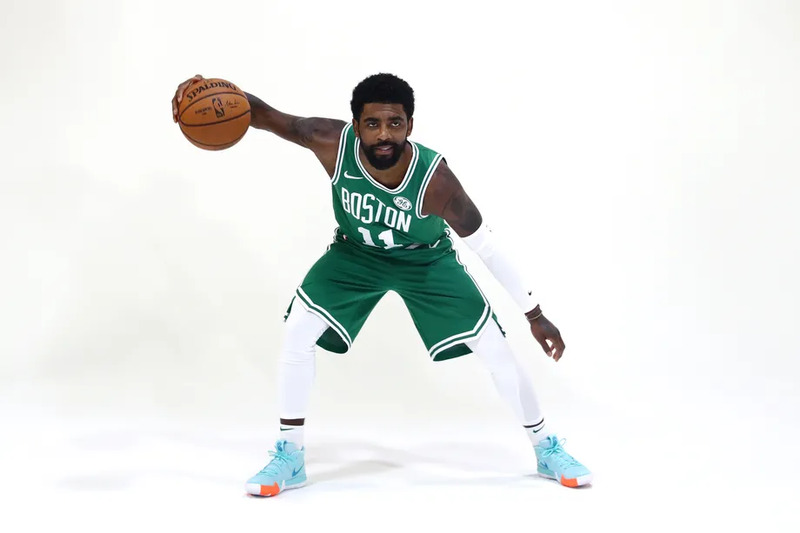 Kyrie and Hayward are slowly coming back. Both are showing signs of life now. Tatum has been great. Games like last night where the whole team is cold (except for Kyrie), they happen. We got good looks but jacked up way too many 3s IMO. I'll be worried if we're still struggling 20 games into the season. We barely beat NY who is a projected lottery team. Orlando dominated us from start to finish. I just hope we don't play Atlanta soon because that will be the ultimate embarrassment. We already were punked in the preseason twice by the hapless Cavs. What happens when we actually start playing some good teams? Does anyone want to give their opinion on the end of game play that we ran? Probably the worst designed play in the history of Brad Stevens. Not an excuse or anything but i think the gaps between the good teams and the bad teams is a lot smaller than it was. lots of young talent in the league.